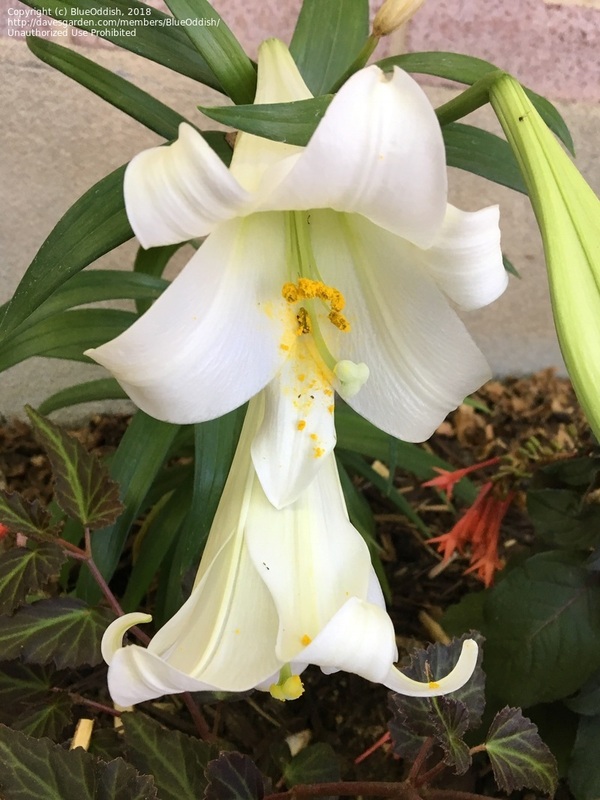 A lily that I'm babysitting for my neighbor. 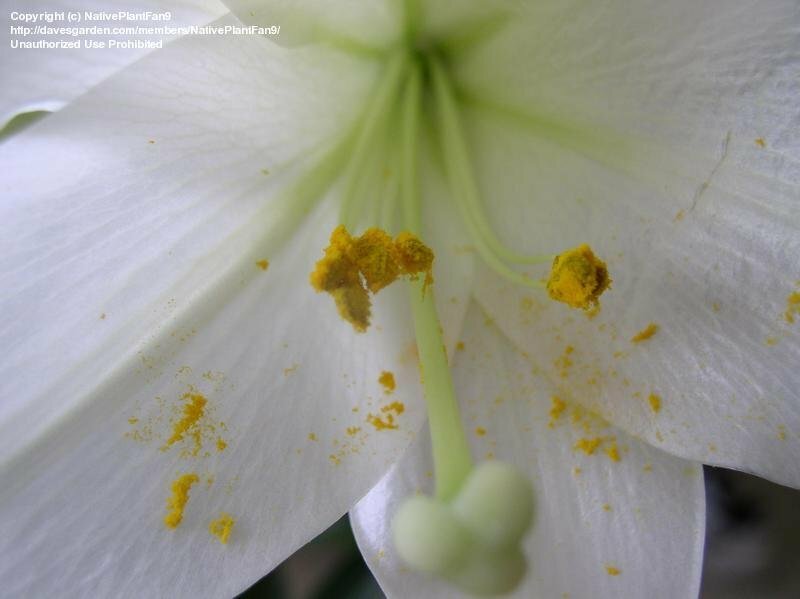 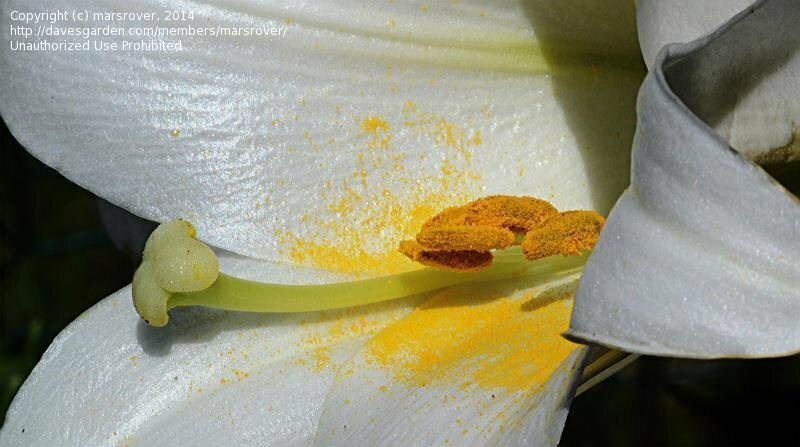 Orange pollen on stalks on inside of Easter Lily Flower. 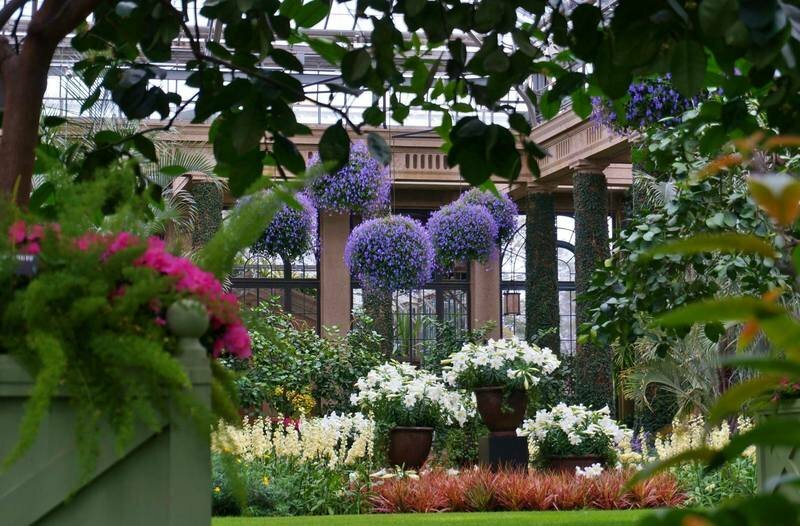 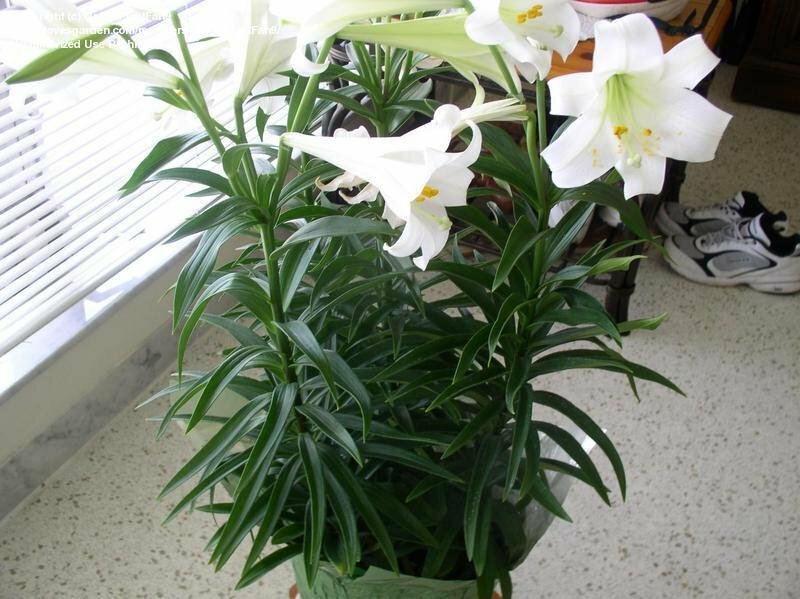 Grown indoors. 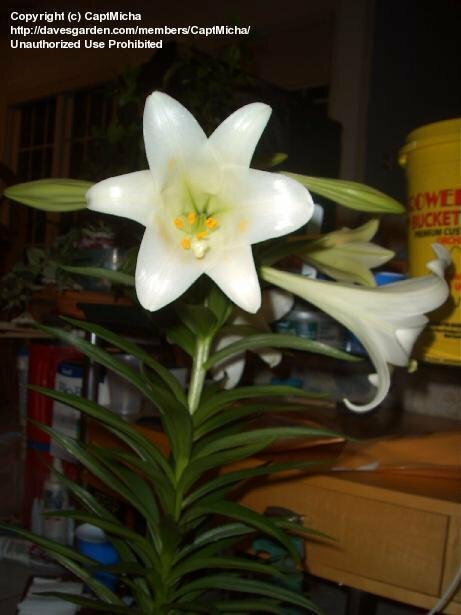 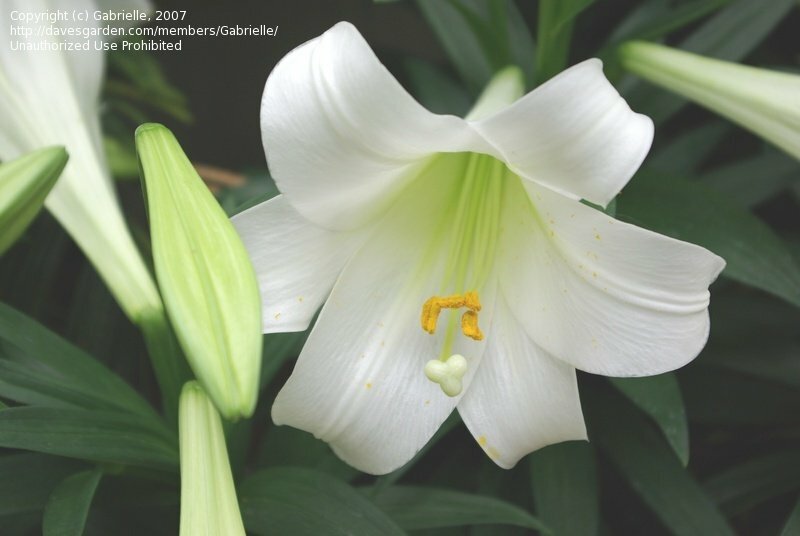 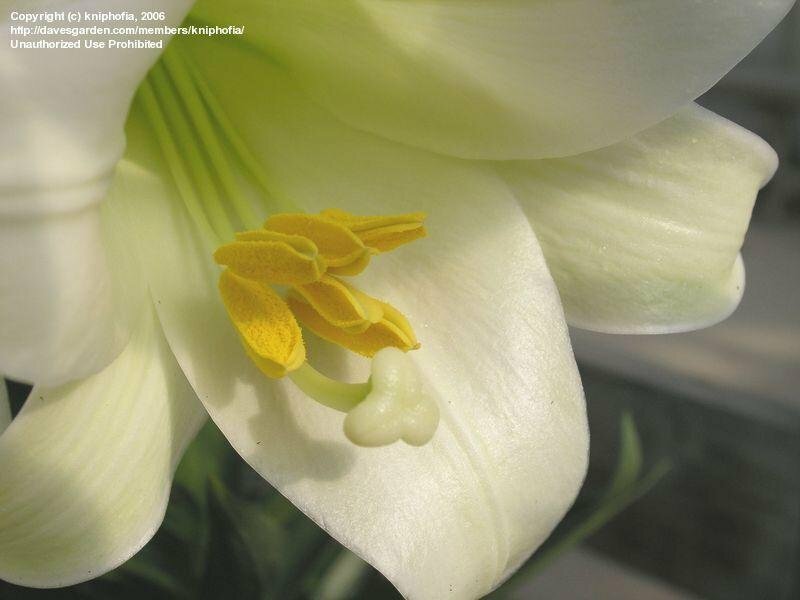 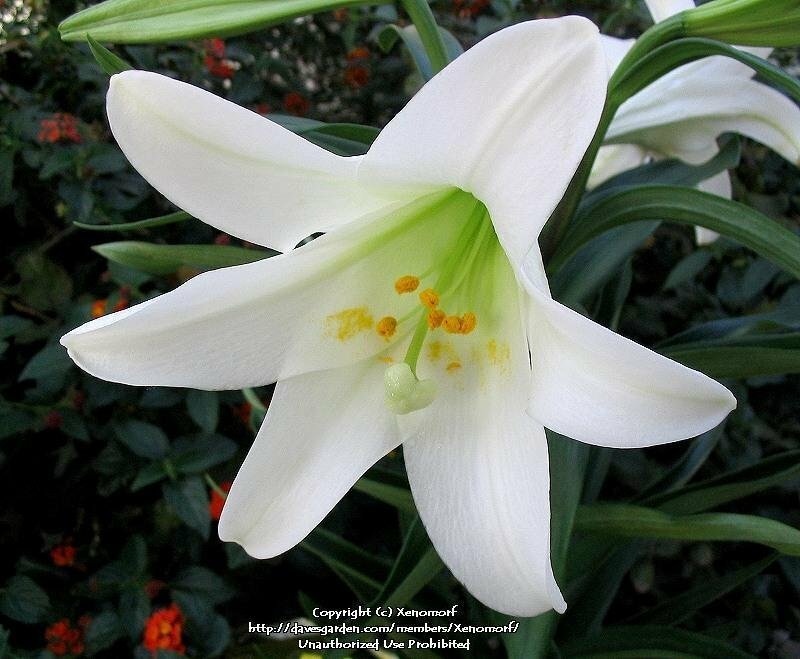 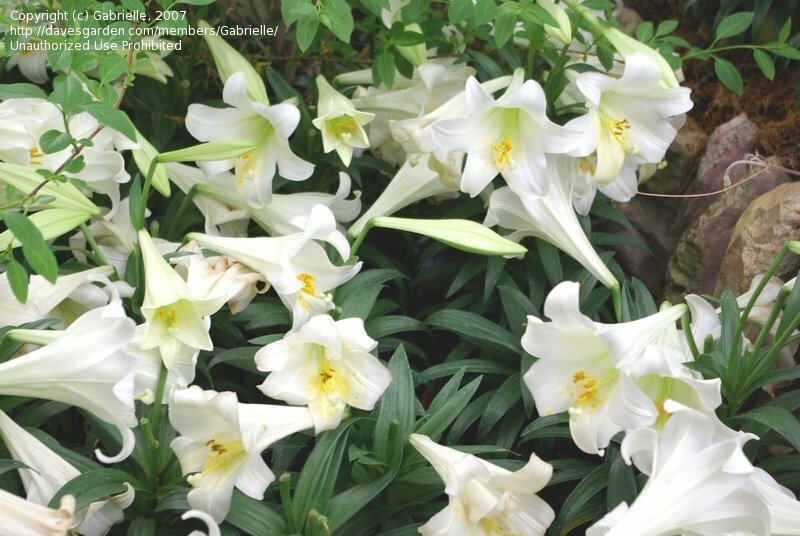 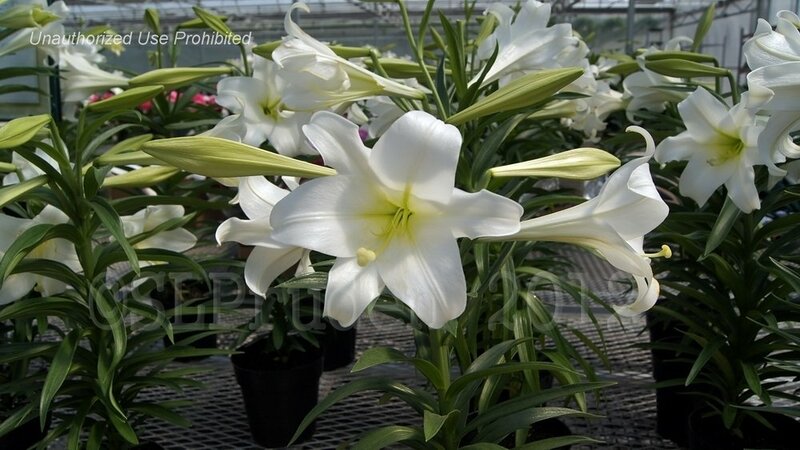 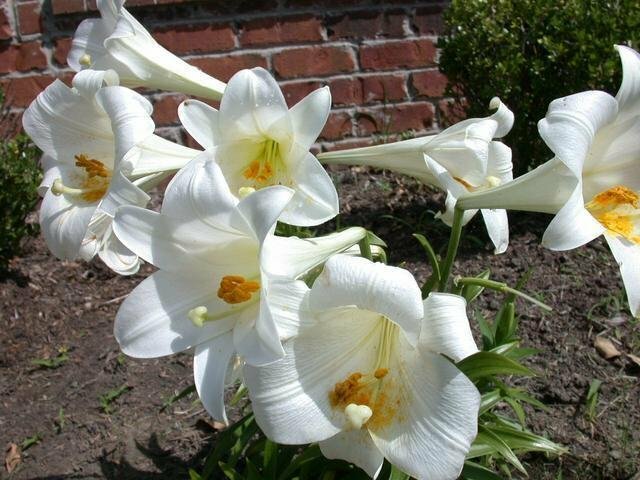 Easter Lily with white flowers blooming grown indoors. 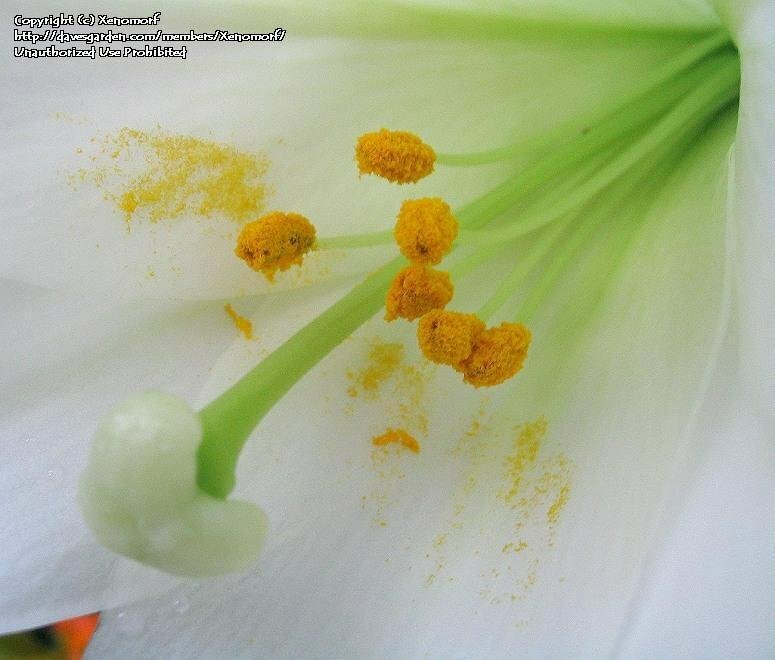 Pristine white except for yellow anthers. 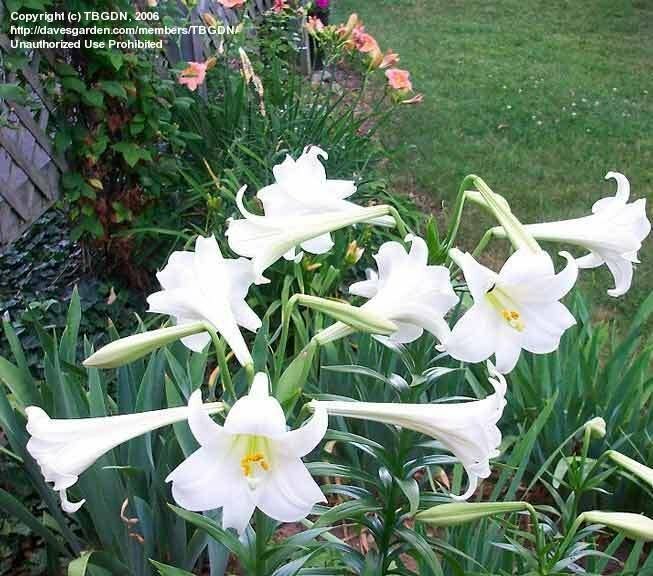 Nicely fragrant; Makes a nice display in mixed perennials. 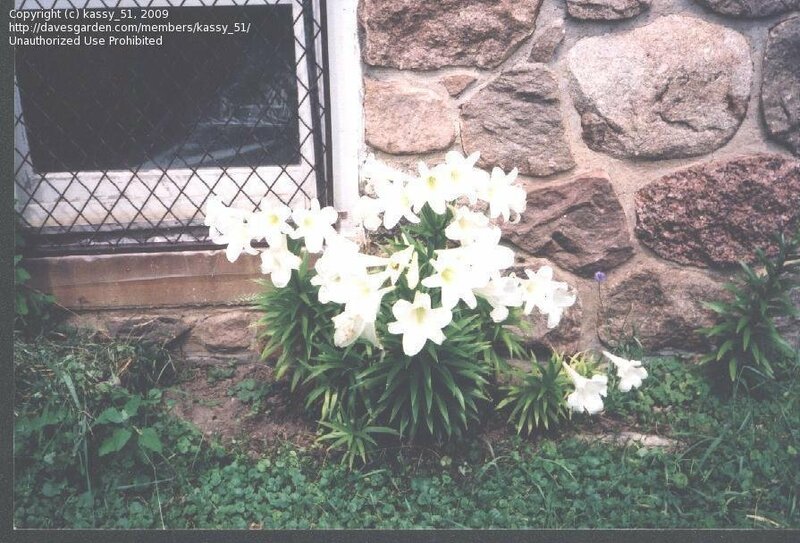 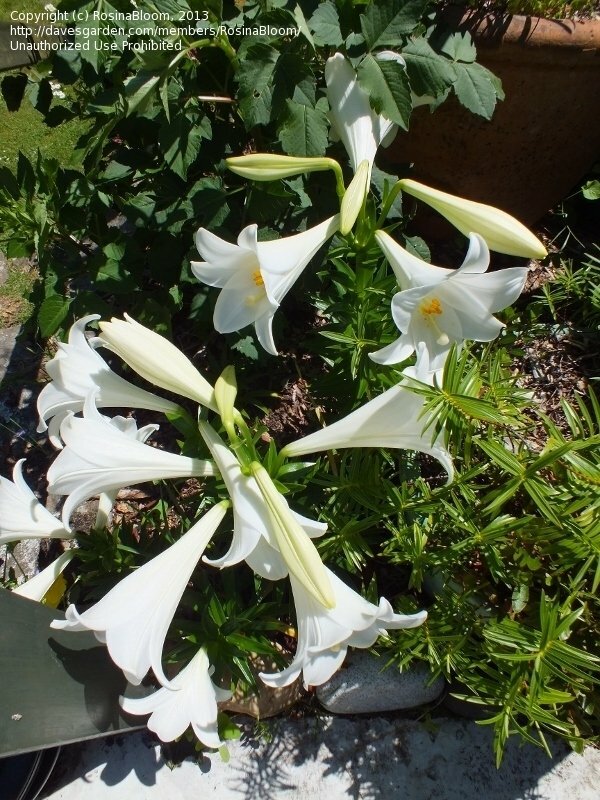 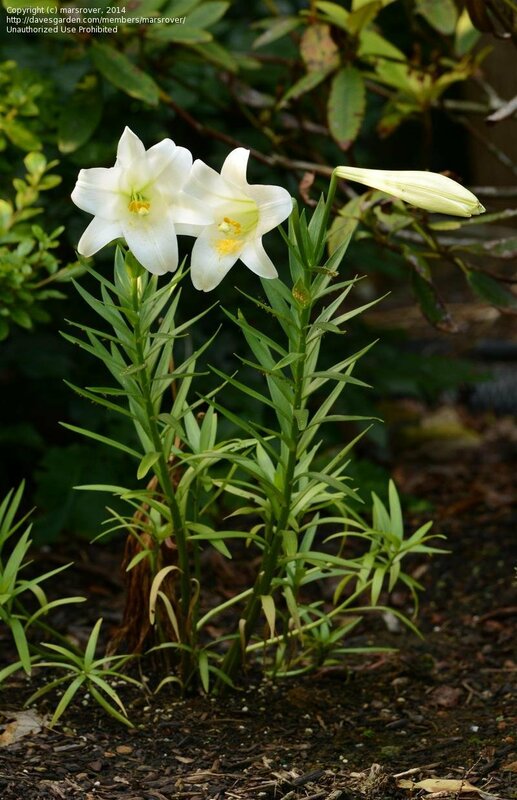 Purchased from Carpinteria High School FFA -- 2nd year 7 lilies grew from just one. 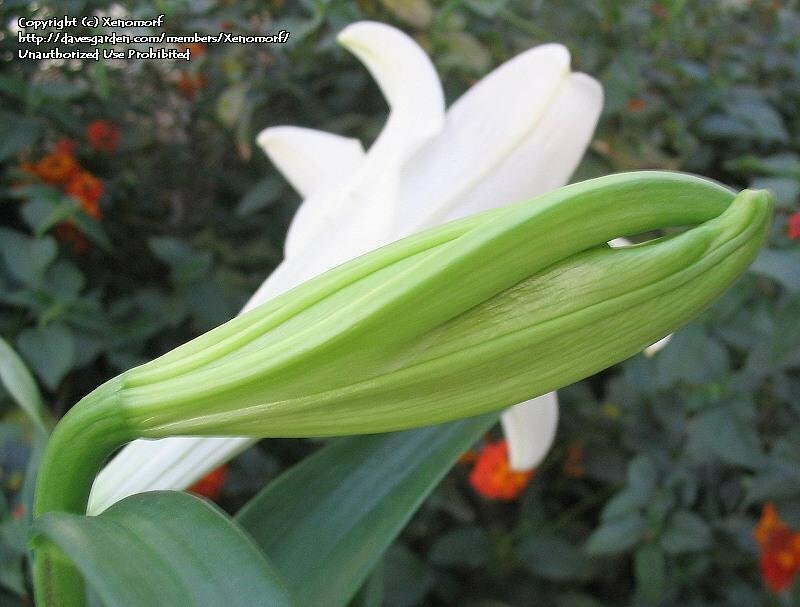 Up close and personal inside Easter Lily on 28 April 2014. 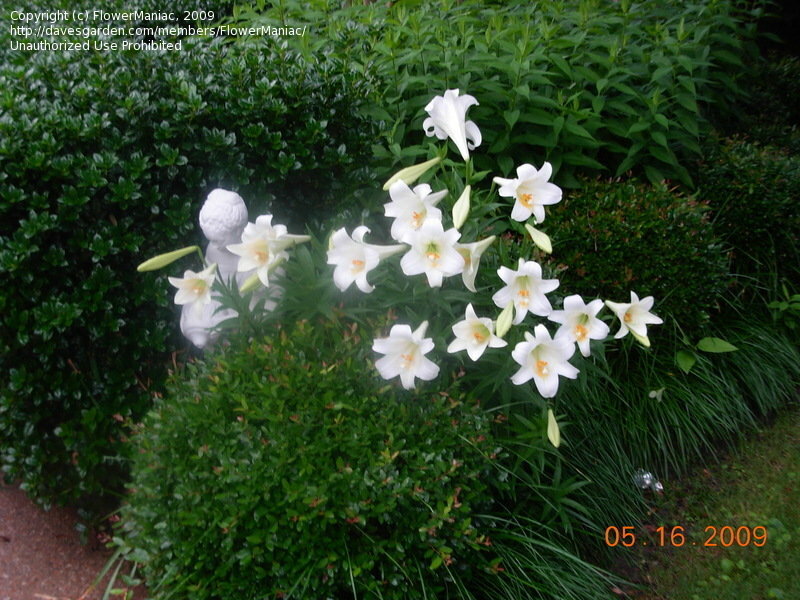 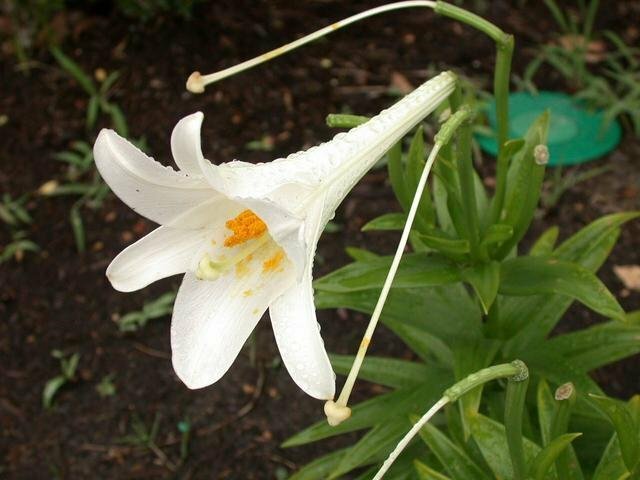 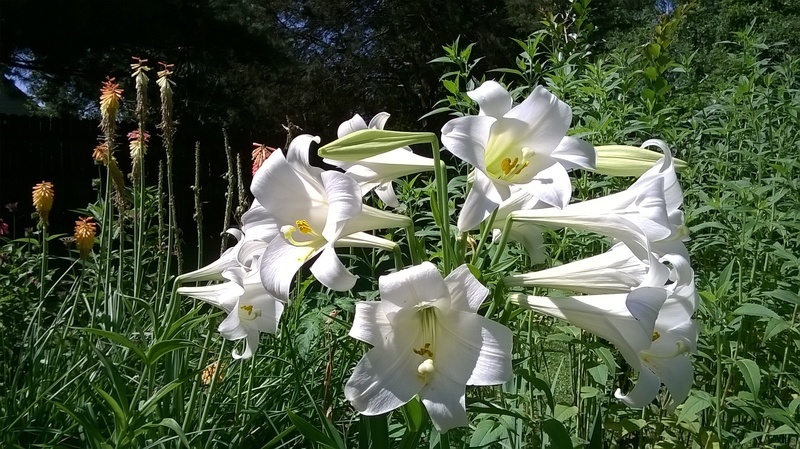 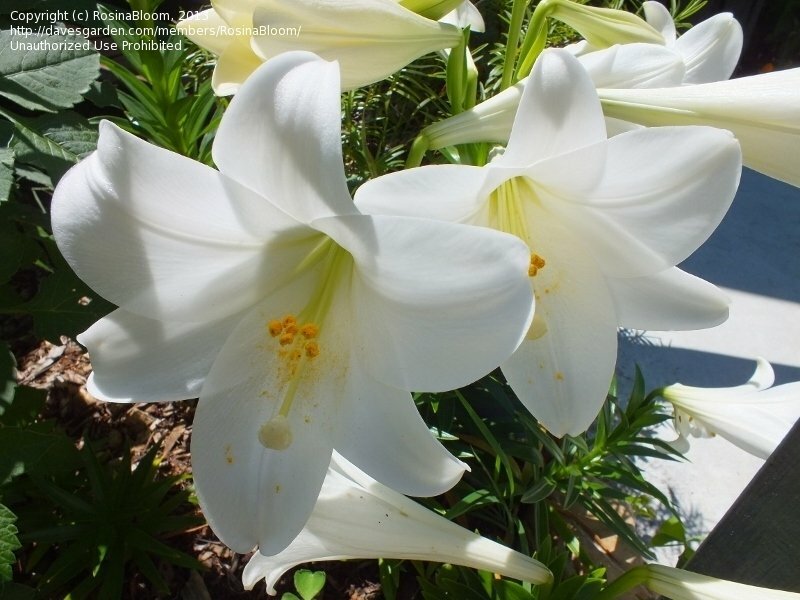 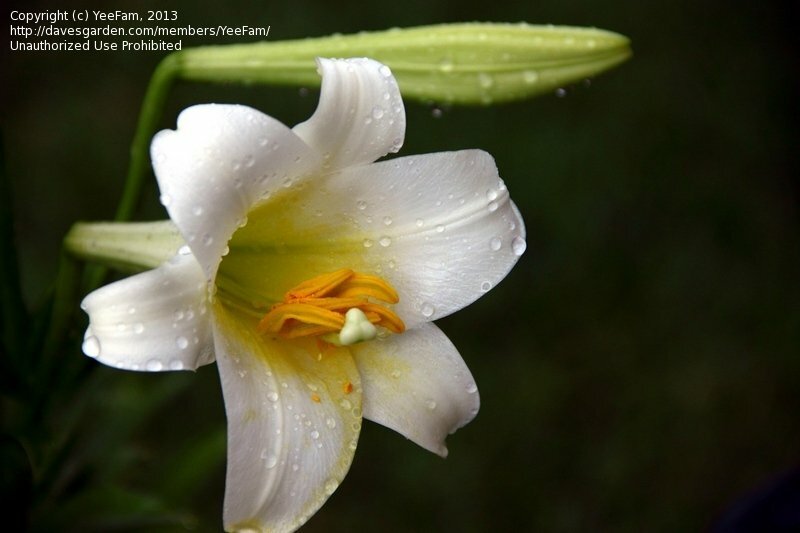 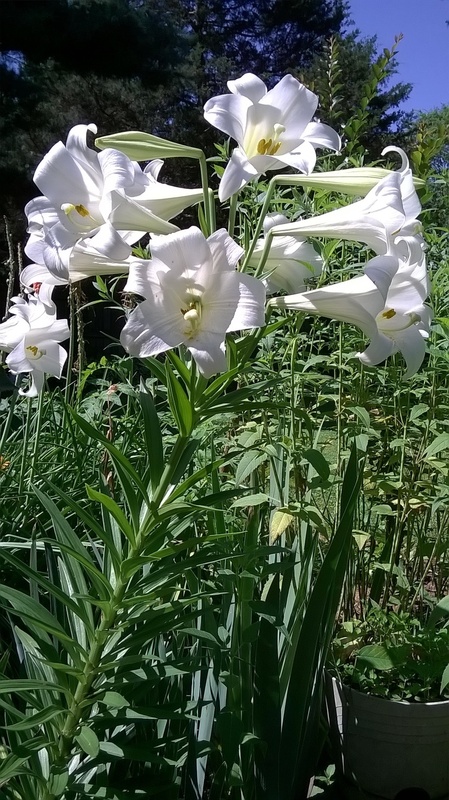 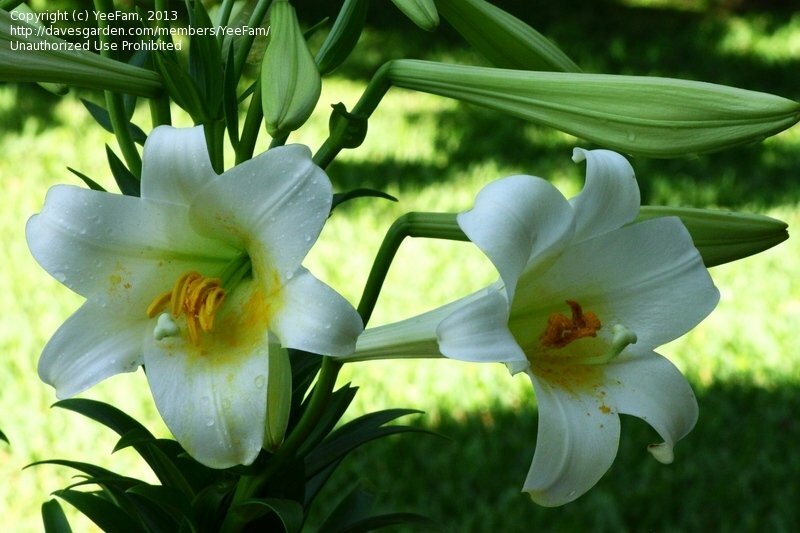 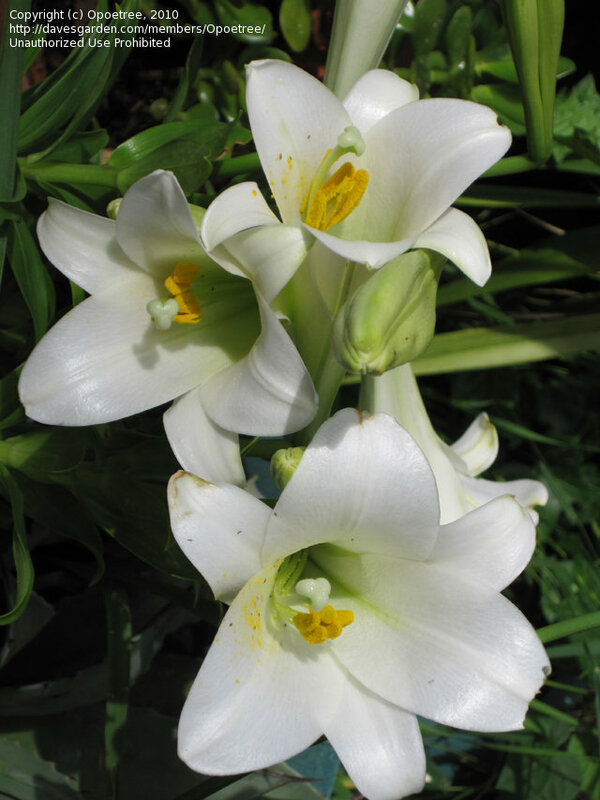 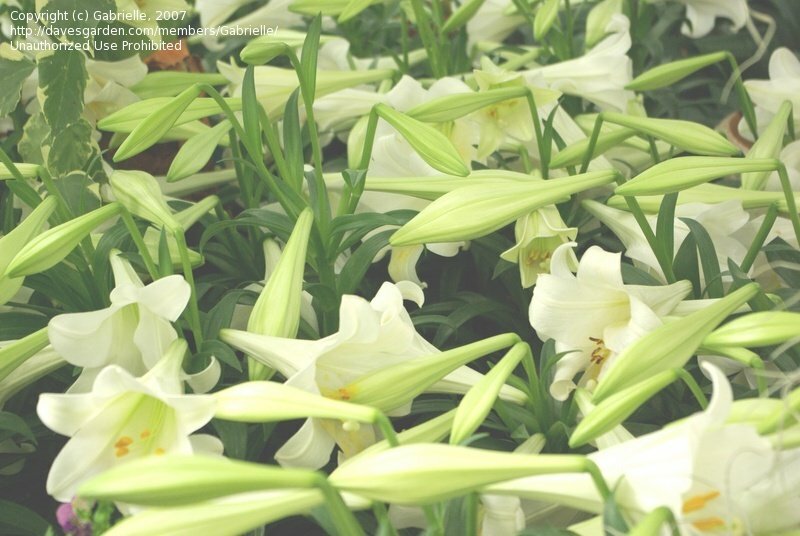 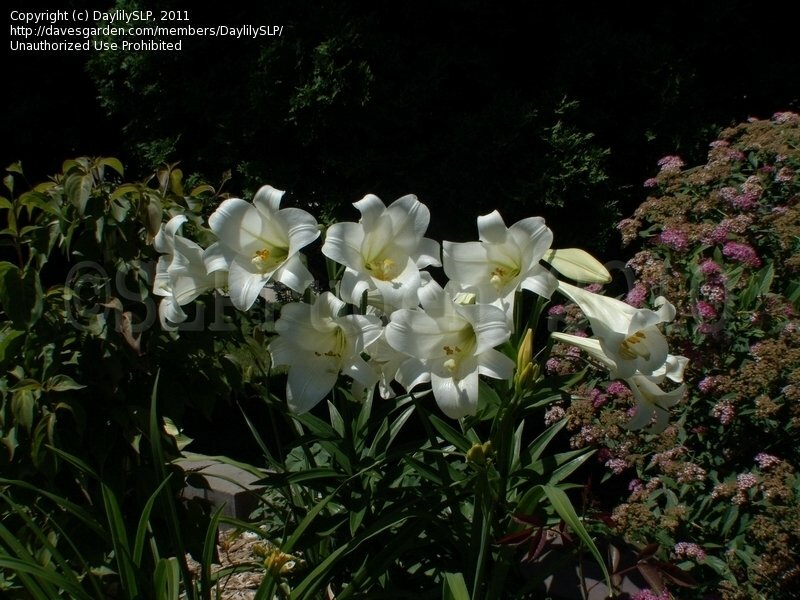 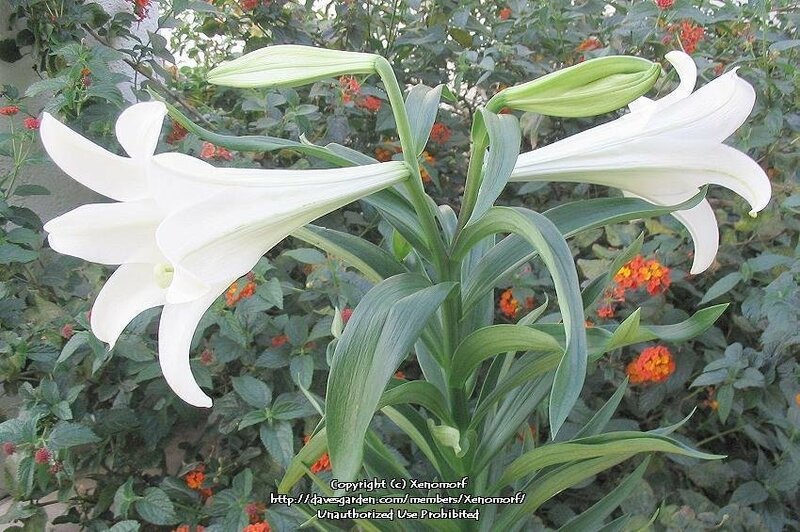 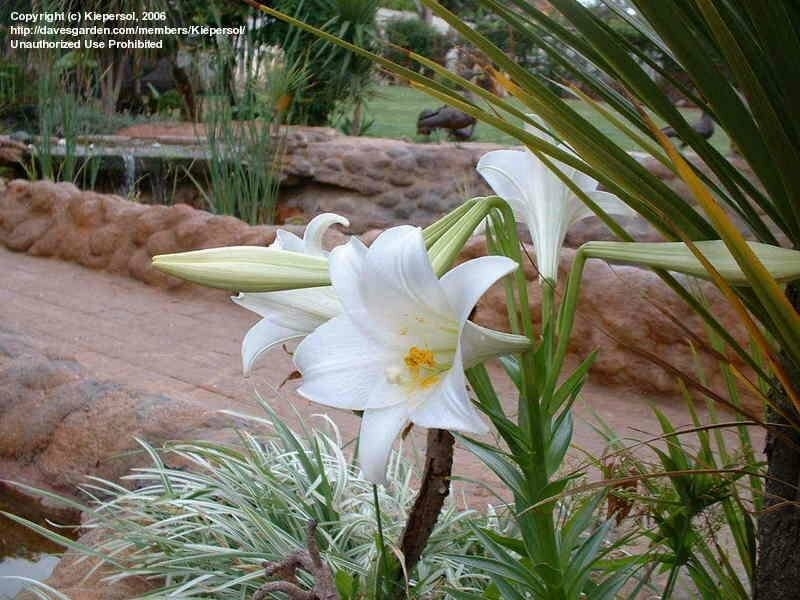 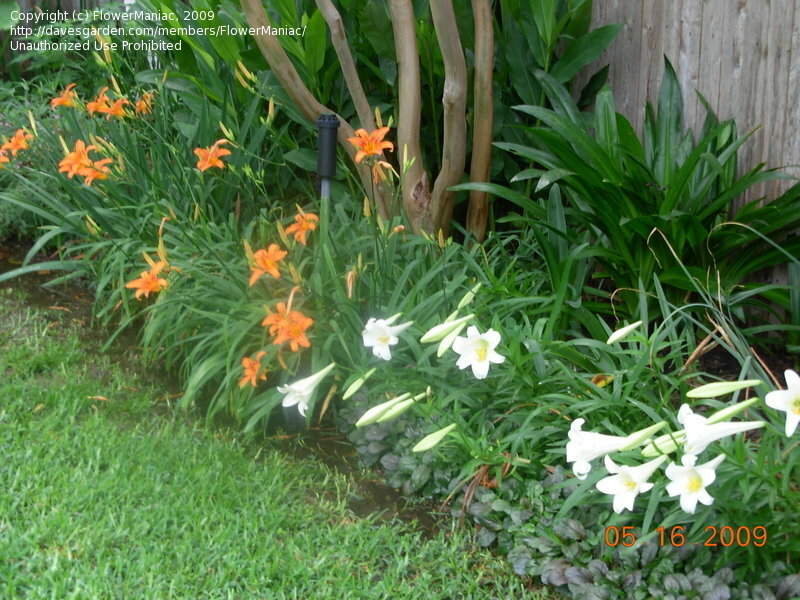 Reblooming Easter Lily on 4 August 2014. 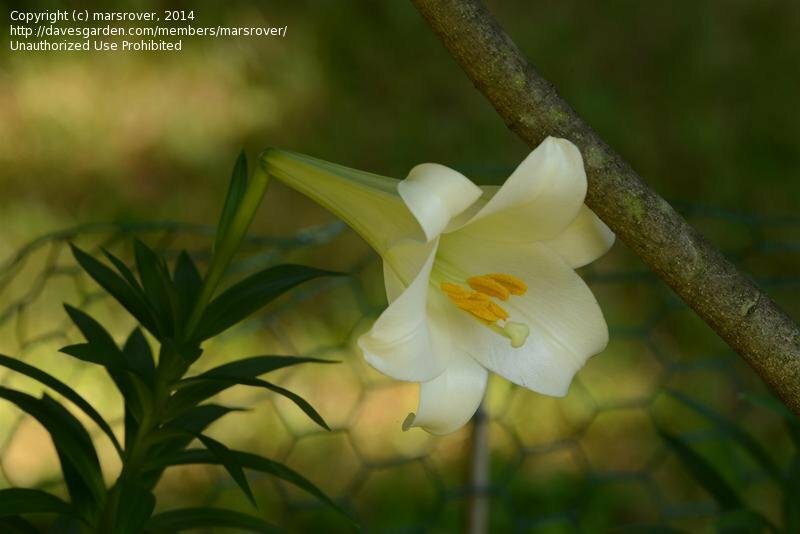 Under the shade of a Kousa dogwood, an Easter Lily reblooms on 25 August 2014. 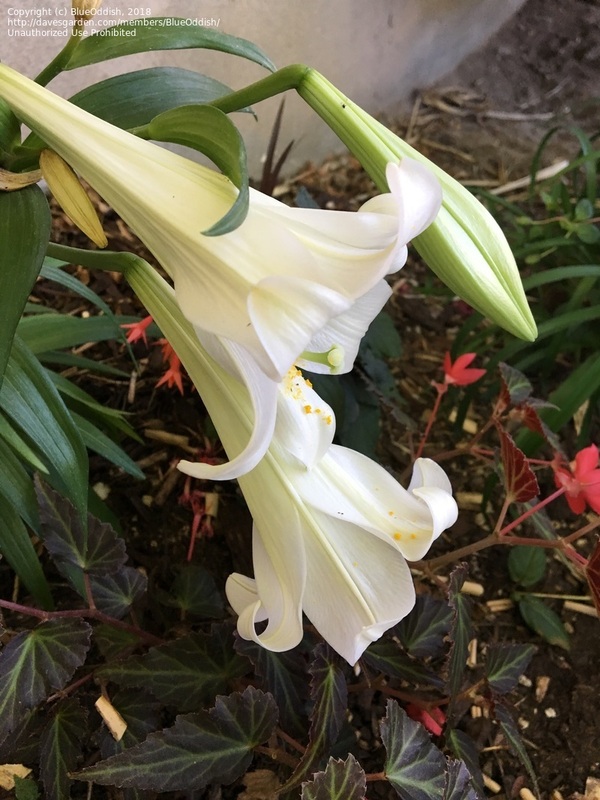 I tried to count the number of blooms on my lily, but I can't count that far! 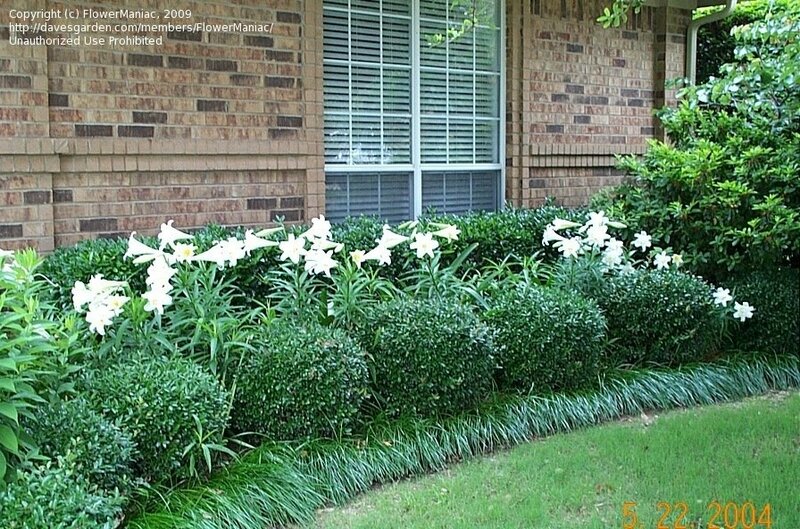 It's so white and pretty, and I haven't done anything for it, no fertilizer, no mulch, no watering. 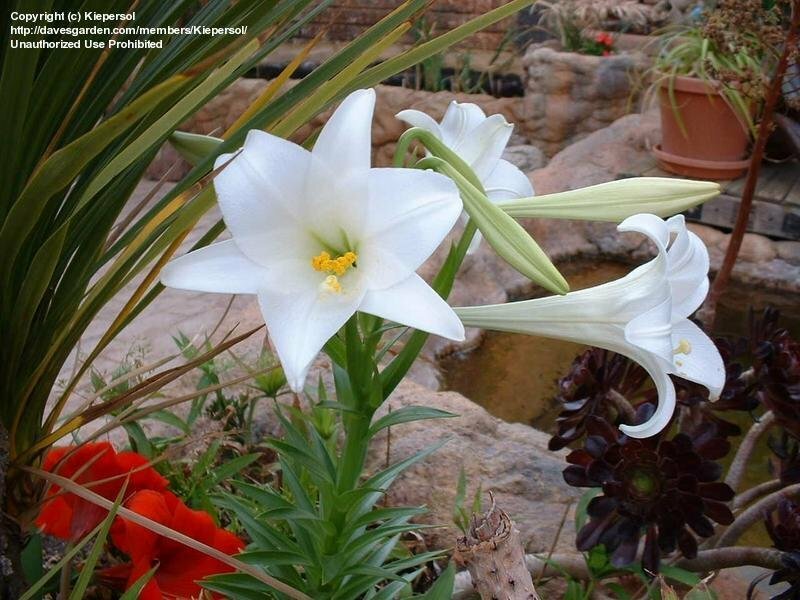 Simply beautiful! 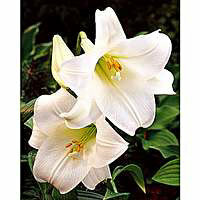 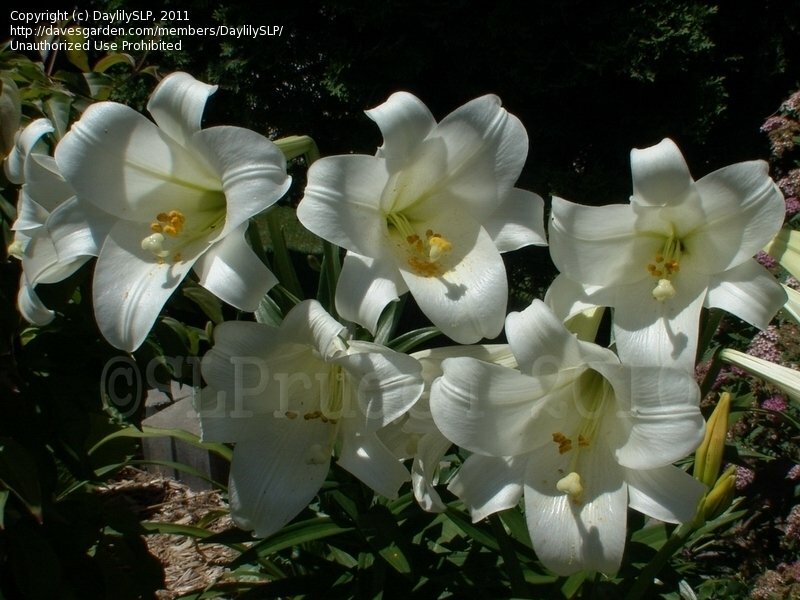 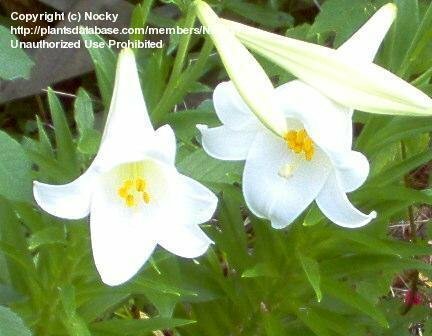 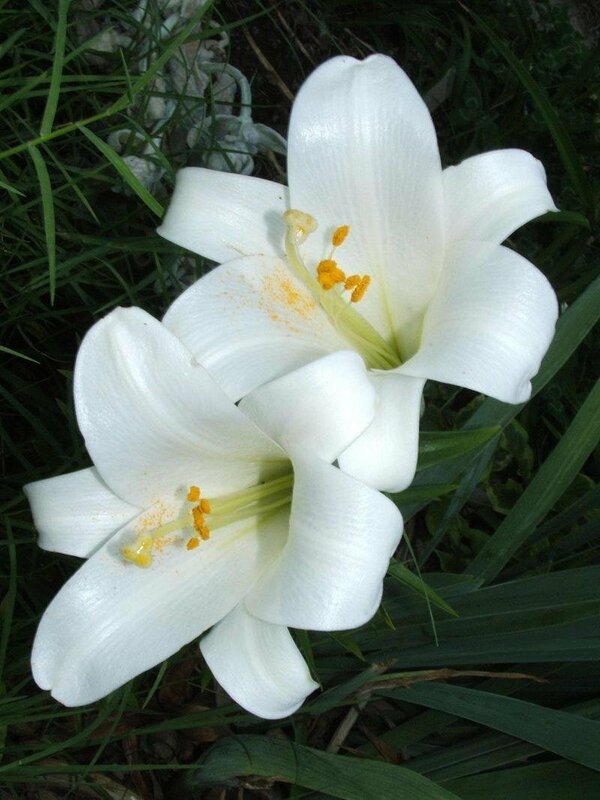 I love this lily, my favorite!